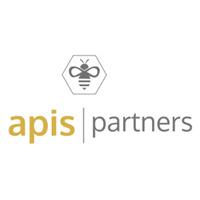 Apis | Partners – Electronic Payment And Services Pvt. Ltd. Earlier Aavishkaar, Aavishkaar GoodWell and FMO (Netherlands based developmental financial institution) invested $20 million in the Company’s first three rounds of funding. “Our investment in EPS was driven by our belief in Mani Mamallan’s leadership and his team and also the vision shared by Mani with us, as EPS at that time was just a concept note. With the new round of capital infusion EPS is well placed to deliver technology lead Financial Inclusion effectively across India,” said Vineet Rai, Founder and Managing Director of Aavishkaar. “The ATM Management industry in India is entering a high-growth phase, backed by strong Governmental push towards financial inclusion, RBI allowing banks to offer all their products and services through their ATM network, and impending rollouts of Small Finance Banks and Payment Banks. We believe that the sector will head towards consolidation, with players expanding their service offering and also entering into new segments in the payment spectrum,” says Meenal Dutia, who leads the financial services practice for Investment Banking at Intellecap which acted as the exclusive advisor to EPS on the fund raise transaction.